With spending cuts and grim economic forecasts dominating the news, it would not be surprising if one of the first things you decided to give up was your holiday. But I would argue that we all need our holidays more than ever at the moment to take us away from the daily routine of work and gloomy talk about recession. And, in a strange way, there has never been a better time to afford a holiday, with the number of cheap flights and bargain hotel prices being advertised at the moment. To keep the costs down still further, be prepared to stay in less well-known towns or resorts where not only are hotel rooms reasonably priced but day-to-day costs such as taxi fares and dining out are cheaper too. If, like me, you are an Italophile and need your regular fix of Italy, you will find that there are currently some low-cost flights on offer for the wonderful cities of Rome,Venice and Milan. But if you base yourself just outside these cities you will find you spend less, while still getting the chance to enjoy the same great atmosphere, architecture, food and wine. If you can find a cheap flight to Rome (Ciampino), consider staying in the ancient, wine-producing city of Frascati, just down the road from the airport. The city has the feel of Rome, but is on a smaller scale, with life at a less frantic pace. 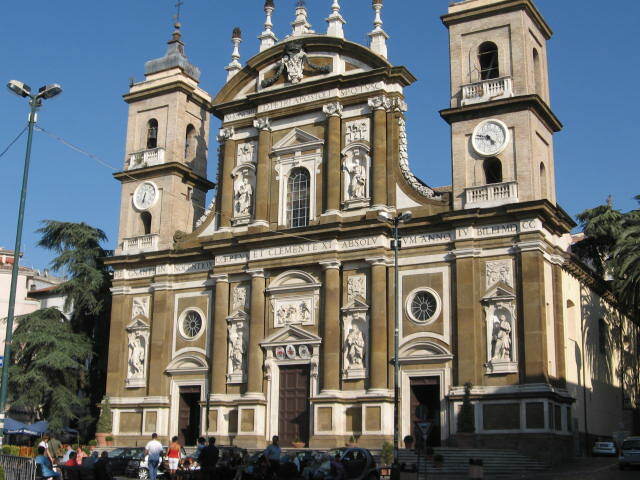 There are statues, fountains and stunning architecture, but it is easy to walk round Frascati. On my last visit, a taxi driver told me how little crime there is in the area. It is said that the delicious white wine that takes its name from the town ‘non viaggia bene’ (does not travel well), which is all the more reason to drink it there, in quaint wine bars serving it cheaply by the glass. Villas built by wealthy Romans on the hills behind Frascati now lie in ruins, but there are elegant 16th and 17th century villas, such as the imposing Villa Aldobrandini, to look round. Take the train to Rome (30 mins) and see the sights, but return in the evening to sit on a terrace sipping wine, looking down over the eternal city. If you can book a low cost flight to Venice (Marco Polo) or Treviso, why not go by train or taxi to nearby Padova, a sophisticated city with good shops, restaurants and hotels. Padova’s Scrovegni Chapel contains one of the world’s greatest works of art, a complete cycle of frescoes painted by Giotto between 1303 and 1305, the first time an artist created life-like figures with realistic expressions. 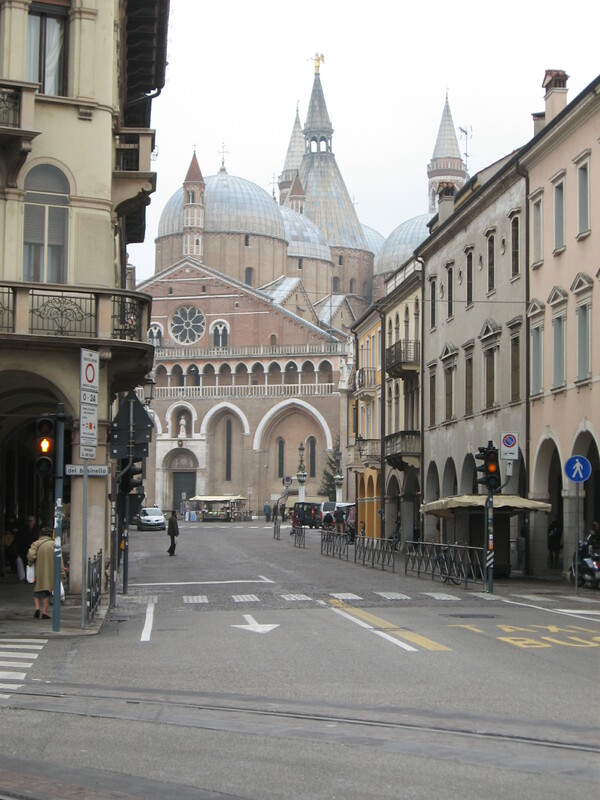 Padova is home to one of the most important places of Christian worship, the Basilica di Sant’Antonio, where pilgrims pray to the saint. Foodies will be fascinated by the variety of shops and stalls in the Piazza delle Erbe and Piazza delle Frutta. You could take the train to Venice (35 mins) and arrive in style at Santa Lucia railway station on the Grand Canal. But return to Padova at night to enjoy an excellent meal, at a noticeably lower price than you would pay around St Mark’s Square. 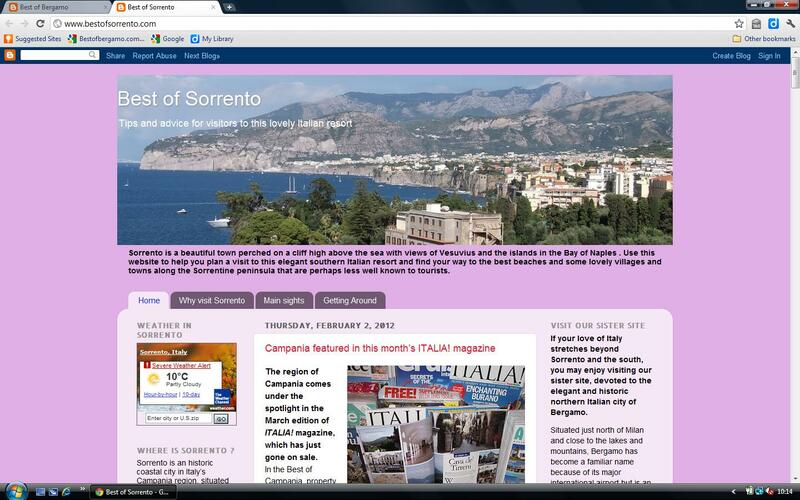 There are currently some bargain flights to be found for Bergamo Caravaggio airport, also known as Milan Bergamo. 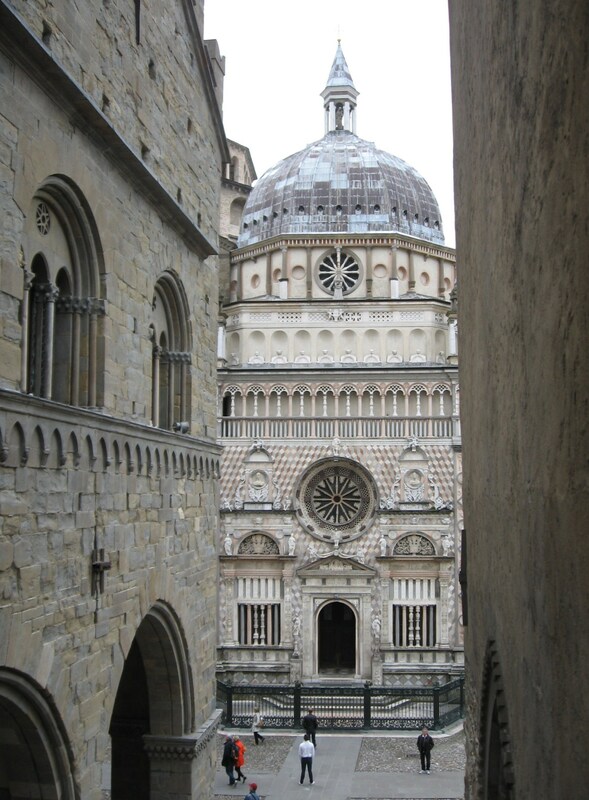 And you will be missing a trick if you don’t stay and explore Bergamo, a historic city with two distinct centres. The upper town (Città Alta) is a beautiful, walled city with buildings that date back to medieval times, but there are plenty of shops, bars and restaurants to welcome visitors. At the heart of the city is Piazza Vecchia, remodelled during the Renaissance and praised by architects as the most beautiful square in Italy. Walk through the archways under Palazzo della Ragione to see the Colleoni Chapel, considered the finest Renaissance building in Italy. The lower town (Città Bassa) also has elegant buildings and a good choice of restaurants and hotels. 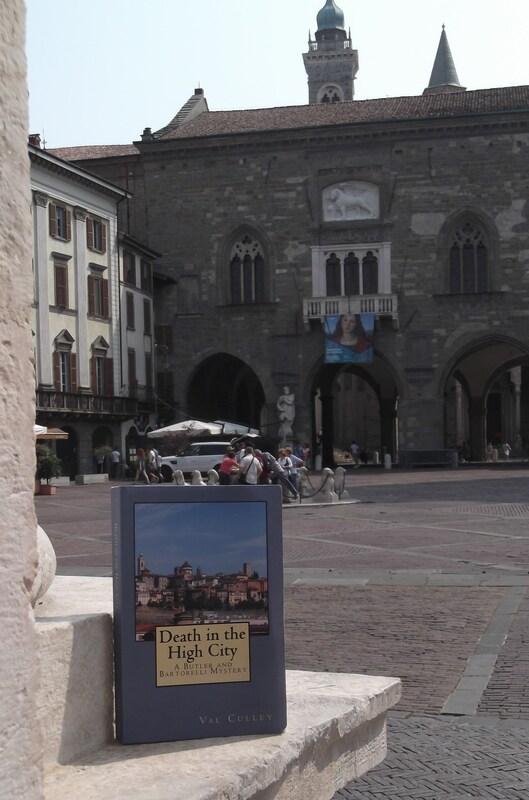 From there you could take the train to Milan (50 mins) to see the sights, but in the evening you will be glad to return to the peace of Bergamo and dine within its 16th century walls. For much more detailed information about Bergamo visit www.bestofbergamo.com.